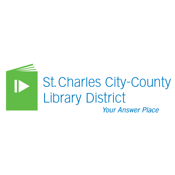 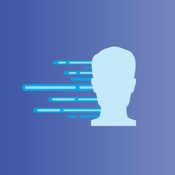 Connect to the St. Charles City-County Library District anywhere. 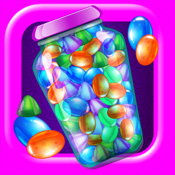 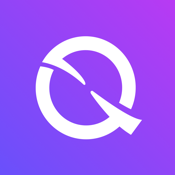 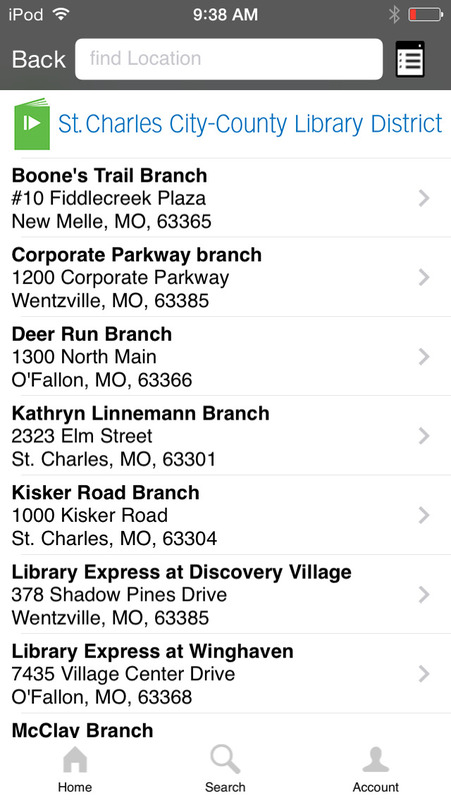 Download the free “youranswerplace Mobile” app. 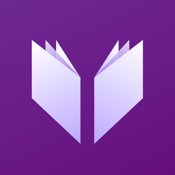 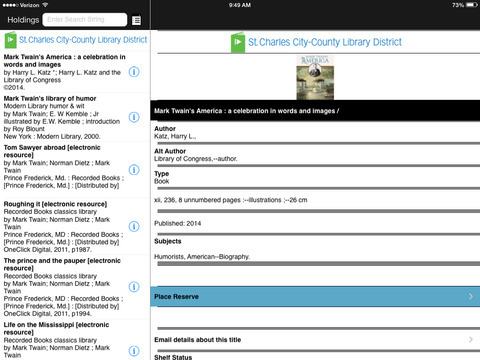 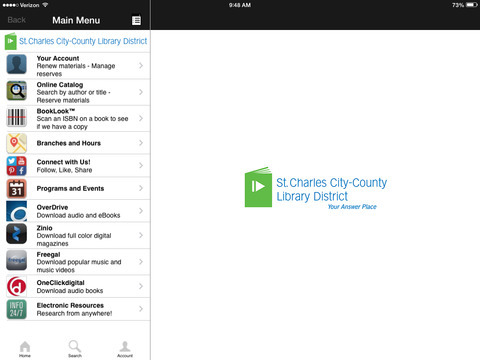 Searching the catalog from the St. Charles City-County Library District Mobile App is easy! 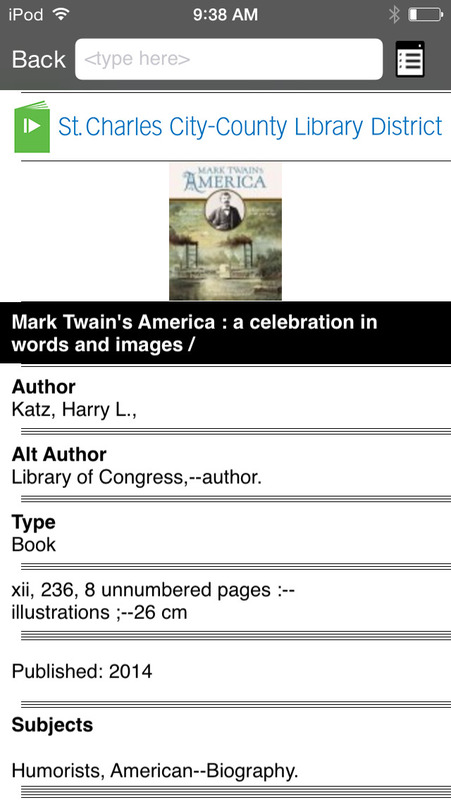 Just type in the first few letters of the words in your search to find what is in the catalog or download a FREE eBook or eAudioBook. 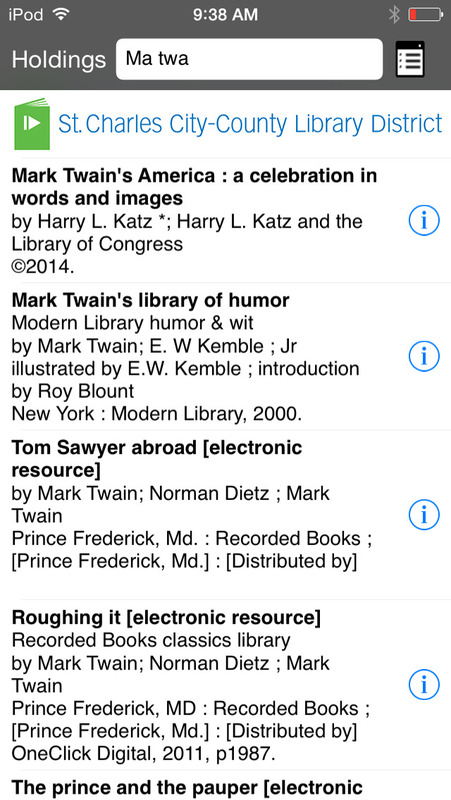 For example, to search for "Mark Twain", just type "ma twa" and our Smart Prefix™ search will instantly deliver relevant results from your library, even if you are on the road and unable to make it in to your local branch.